How is being the evolution of the building site due to the BIM adoption? Is the building site ready for BIM? How can we visualize and discuss a 3D model on the ground? 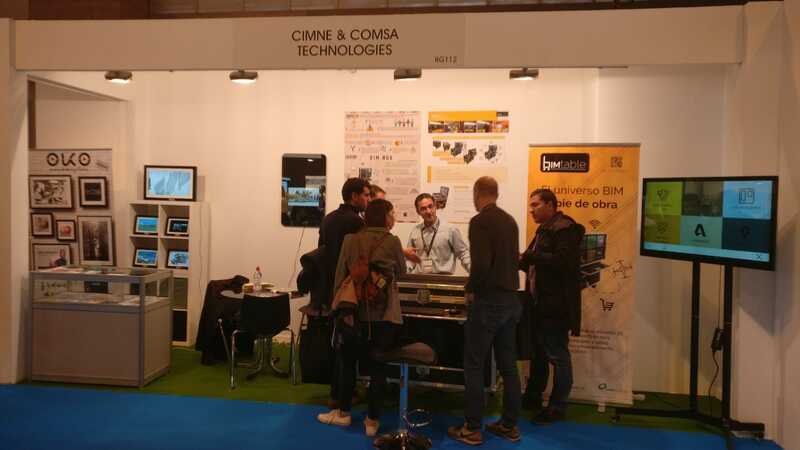 This has been some our key questions shared with all our collegues last week at the BIMexpo-Construtec18 (http://www.construtec.ifema.es/bimexpo/) in Madrid. Our presentation done last Thursday 15th, November, in the BIM workshop, presented some of our thoughts about these questions and the BIMtable, a solution that seeks to provide a first digital brick for the building site. In addition, we had the opportunity to discuss the digitization needs and the possible solutions for the construction work processes at the construction site. The presentation is also available at: https://www.slideshare.net/fjmora/bimtable-el-universo-bima-pie-de-obra-bimexpo-noviembre-2018. BIMTable Booth. Javier Mora (PMS & CIMNE) presenting the BIMTable to new customers. The new BIMTable model launched in BIMExpo 2018. A platform that digitalises information and work processes at the building site with a seamless integration of hardware, software and services. The BIMtable concept offers a robust, portable, colaborative and easily manageable solution that moves the BIM digital office where the work is executed, eliminating the distances between the execution work and the management carried out in the offices, reducing time displacement and facilitating a much more direct and exhaustive monitoring of the day to day of the work.